The newest blog added to my links page is Pen, Ink, and Crimes. 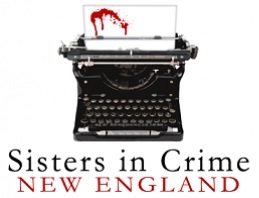 The blog, begun in August 2010, is a home of sorts for the New England chapter of Sisters in Crime. The focus was to “update you on our news and information” but has expanded to include tips on writing, interviews, and more. 2010 saw several posts introducing readers to writers, and then there’s a gap. The site came roaring back though in January 2012, and has been going strong ever since. Several authors have contribued to the site on a regular basis, including J.A. Hennrikus (the site’s inaugural blogger), Nancy Gardner, Lisa Haselton, Beth Kannell, Edith Maxwell, Pat Remick, Barbara Ross, and more. They may not be well known, but their coverage of the mystery genre and of events, like conferences and writer’s retreats, will be of interest to readers and especially writers of mysteries. I might particularly call attention to the recent posts, “Writers at Work,” a series of interviews of mystery authors conducted by TV news reporter and mystery author Hank Phillippi Ryan. These questions and answers give readers a glimpse into the lives of well-known writers. Recent interviews have been with Kathy Lynn Emerson, Julia Spencer-Fleming, Katherine Hall Page, and Cathy Pickens. If there’s one drawback to the site, it’s a lack of an archive to older posts. There is a category cloud to offer some navigation, but some nuggets may be missed this way. The original Sisters in Crime was founded in 1986 to promote women mystery authors. According to the site, the New England chapter has more than 150 members. Visit the site here or check out my Links page for this and other sites of interest.